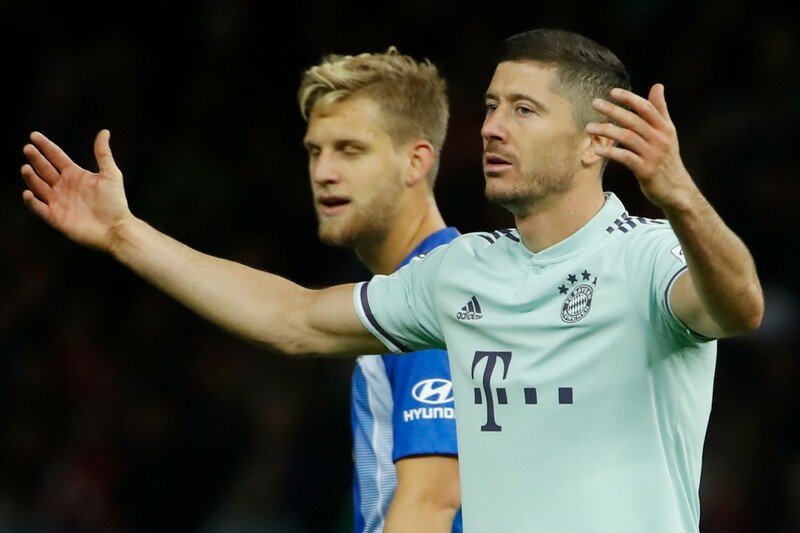 Following a disappointing draw with Augsburg in midweek, Bayern Munich suffered further calamity as they slumped to a shock 2-0 defeat at the hands of Hertha Berlin. It was a frustrating game for the Bavarians as they struggled to breach a well-organised and disciplined Hertha defence. The defeat puts the champions at risk of losing their top spot on the league table, should Borussia Dortmund manage to win against Bayer Leverkusen in Saturday’s topspiel. Hertha, on the other hand, do deserve credit for their excellent game plan early on, as they looked to take full advantage of their chances whilst keeping Bayern under the radar in the final third. 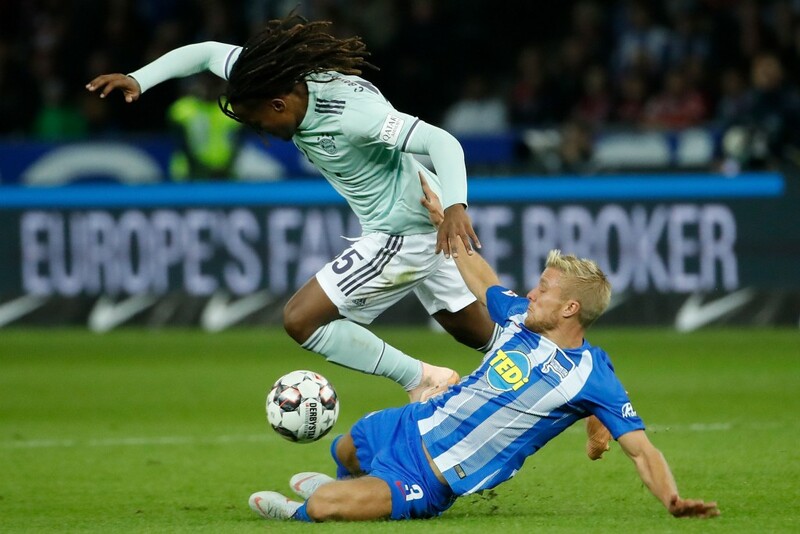 Jerome Boateng’s rash lunging tackle on Salomon Kalou, after Manuel Neuer had made an excellent save to deny Vedad Ibisevic, led to a penalty in the 22nd minute. Only this time, however, the Bosnian made no mistake in slotting the ball in the back of the net with a well-taken effort. Bayern attackers combined well to create a few good chances in the first half but were devastated when Ondrej Duda doubled Hertha’s lead just before half-time. And just like what an intelligent manager would do, Pal Dardai ordered his men to operate deeper in the second half as all the Hertha players positioned themselves inside the box barring Ibisevic. The Berliners frustrated their opponents with their diligent defending with Karim Rekik, in particular being their standout defender on the night. The Hard Tackle now looks at the individual performances of each of the Bayern Munich players in their embarrassing defeat to Hertha. Made an excellent save to deny Vedad Ibisevic in the first half but he couldn’t have done anything to save any of the goals scored by Hertha. He will be disappointed with the defeat especially when he made amends after being at fault for conceding the equaliser against Augsburg in midweek. Kimmich did manage to keep Javairo Dilrosun at bay for large parts of the first half, but he struggled to maintain his defensive solidity in the second half as Hertha’s new signing made him uncomfortable with his menacing runs. His offensive contribution was decent but it was overall, an underwhelming performance from the German international. Remained solid in defence for large periods of the game, but was unfortunate to have lacked support from his defensive partner Jerome Boateng. He won more aerial duels than any other player on the night. Looked very uncomfortable throughout the game in dealing with the menacing Hertha attackers. 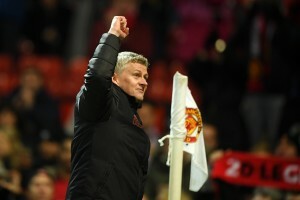 He will be disappointed with his tentative defensive display especially after being given a rest in the midweek tie. Boateng’s rash tackle on Salomon Kalou was very uncharacteristic of him and pretty much portrayed his sloppy display throughout the game. Could be benched for the Champions League tie against Ajax. 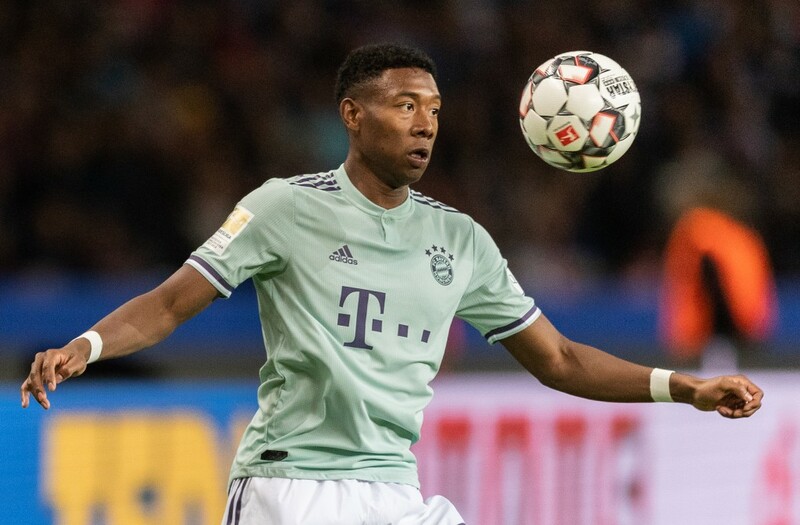 Alaba has certainly enjoyed better games than this one as he was completely ineffective in attack. His magical left foot also didn’t aid him much, with all three of his shots going substantially off-target. Put simply, it was an average display from the Austrian international. Dictated the play throughout the game and was arguably Bayern’s best player of the night. His pinpoint passing and excellent movements around half-spaces made it easier for the Bavarians to make seamless transitions. However, he did lack adequate support from his teammates in midfield with most of his partners failing to make any sort of impact. It was a disappointing evening for the “Flying Dutchman”, who failed to wreak havoc in the Hertha defence. Not only did Robben struggle to exploit the space out wide due to the presence of Marvin Plattenhardt, but he also looked below his hundred percent, coming on the back of a strenuous outing against Augsburg in midweek. Definitely a sense of fatigue in his performance against Berlin. One of the worst players for Bayern Munich on the night, James cut a forlorn figure in midfield, failing to breach past a disciplined Hertha defence. The Colombian also found it difficult to find an opening, and he was hurried and hassled on the ball by the tireless Berlin midfielders. Surprisingly so, given his excellent form coming into this matchday, this was a rather tame outing. Coach Niko Kovac will be ruing the decision of starting Renato Sanches over Thomas Muller on Friday as the Portuguese sensation was ineffective for large parts of the game. While Sanches did look menacing whenever he was on the ball, he often lacked composure in the final third. Probably the pick of the Bayern attackers, as the Frenchman made a lot of dangerous runs into the Hertha defence. Most importantly, he also succeeded in getting in behind the backline to provide a lot of crosses. But, Valentino Lazaro’s defensive astuteness and commitment made it tougher for the Bayern superstar to wreak havoc in the opposing defence. He did complete more dribbles than any other player on the pitch, however. Lewandowski was largely anonymous throughout the course of the game. The Polish international, left out against Augsburg, in midweek, appeared tentative in front of goal, producing a host of tame efforts which didn’t provide much trouble for the Hertha defence and Thomas Kraft. Replaced Arjen Robben in the 52nd minute. But, contrary to what fans had initially expected, Muller failed to provide any sort of attacking spark. Made a substantial impact after coming on for Renato Sanches in the 63rd minute. His mazy runs across the flanks did cause a trouble or two for the opposing defence. But, he always lacked the end product with two of his shots going off target. It was a perplexing decision when Sandro Wagner replaced Lewandowski in attack, despite his average performance against Augsburg. And the former Hoffenheim striker, quite expectedly, failed to make any kind of impact as Hertha easily held on to their two-goal lead.